The Pahimis festival has been a gesture of giving thanks to God and nature for good harvest for the whole year round. Coffee is the major crop of Amadeo, which is why the town is known as the Coffee Capital of the Philippines. Villar Foundation Managing Director and Misis Hanepbuhay Cynthia Villar, together with Cavite Sixth District Congressman Antonio Ferrer, General Trias Mayor Jonjon Ferrer, Amadeo Mayor Benjarde Villanueva and PCSO Dir. 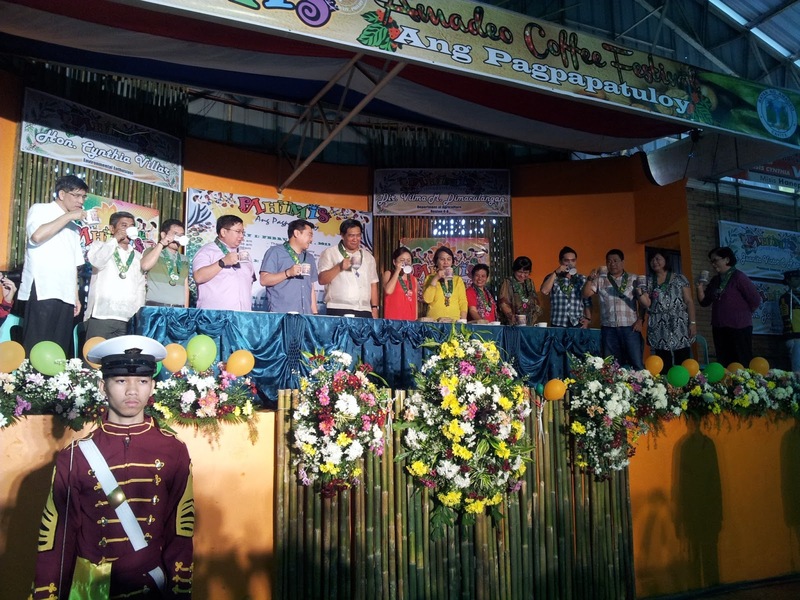 Aleta Tolentino, leads the ceremonial coffee toast during the Pahimis Coffee Festival in Amadeo, Cavite. The festival is a thanksgiving for the bountiful coffee harvest of the Amadeans. In Amadeo, Pahimis means thanksgiving. Pahimis is a coffee festival of thanksgiving which also intends to promote the town’s coffee industry and gain support to local coffee growers. The townsmen have coined Pahimis festival in order to celebrate the good harvest and other blessings in their life. Pahimis festival is known all over the Philippines that is why many known figures like Cynthia Villar, the Managing Director of Villar Foundation, and other local politicians have paid time visiting the annual event. According to Misis Hanepbuhay, the Pahimis festival was first launched in 2002 and has now become a culture and a tradition of the people of Amadeo. She also commended Amadeo since their festival is united with eco-awareness, just like their livelihood programs in Las Piñas. Apart from keeping the environment clean and protected, livelihood programs for the residents were provided.